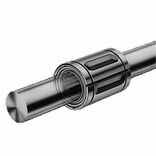 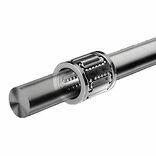 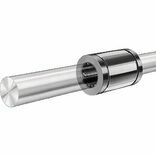 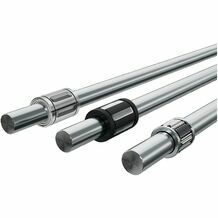 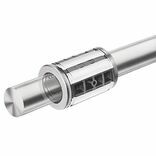 Linear Bushing and Shafts from Rexroth have proven their worth over many decades. 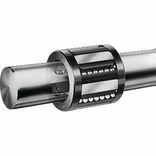 Their uses are practically unlimited. 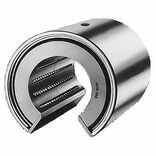 The wide diversity of formats, versions and material components opens up applications beyond the classic areas of general and special-purpose machinery, jigs and fixtures, enabling powerful solutions for tasks in, for example, the food, semiconductor and medical technology industries. 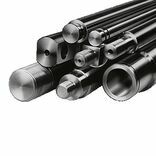 Linear Bushings and Shafts are distinguished by their impressive performance in environmental conditions involving heavy contamination or high thermal loads. 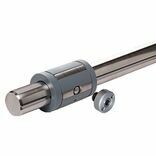 They are also renowned for their long life, accuracy and high degree of efficiency. 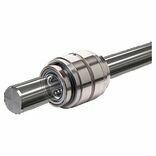 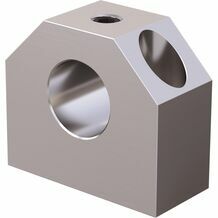 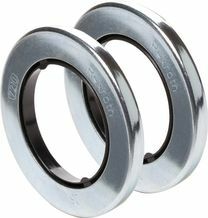 Super Linear Bushing A compensates for shaft deflection and misalignment. 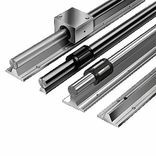 For applications where other linear guides tend to warp due to imprecise substructures.